Renewable portfolio standards (RPSs) are popular market-based mechanisms for promoting development of renewable power generation. However, they are usually implemented without considering the capabilities and cost of transmission infrastructure. We use single- and multi-stage planning approaches to find cost-effective transmission and generation investments to meet single and multi-year RPS goals, respectively. Using a six-node network and assuming a linearized DC power flow, we examine how the lumpy nature of network reinforcements and Kirchhoff’s Voltage Law can affect the performance of RPSs. First, we show how simplified planning approaches that ignore transmission constraints, transmission lumpiness, or Kirchhoff’s voltage law yield distorted estimates of the type and location of infrastructure, as well as inaccurate compliance costs to meet the renewable goals. Second, we illustrate how lumpy transmission investments and Kirchhoff’s voltage law result in compliance costs that are nonconvex with respect to the RPS targets, in the sense that the marginal costs of meeting the RPS may decrease rather than increase as the target is raised. Thus, the value of renewable energy certificates (RECs) also depends on the network topology, as does the amount of noncompliance with the RPS, if noncompliance is penalized but not prohibited. Finally, we use a multi-stage planning model to determine the optimal generation and transmission infrastructure for RPS designs that set multiyear goals. 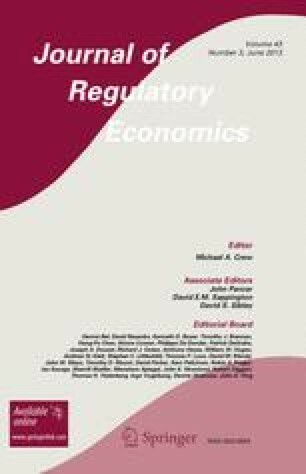 We find that the optimal infrastructure to meet RPS policies that are enforced year-by-year differ from the optimal infrastructure if banking and borrowing is allowed in the REC market. The work reported in this article was partially supported by USDOE through the CERTS Reliability and Markets program, NSF through an EFRI-RESIN Grant number 0835879, the Fulbright Foundation through the NEXUS program, and CONICYT, FONDECYT/Regular 1100434. See Tables 3, 4, and 5. CPUC. (2009). 33% Renewables portfolio standard, implementation analysis and preliminary results. California Public Utilities Commission. Retrieved from May24, 2012, www.cpuc.ca.gov/NR/rdonlyres/B123F7A9-17BD-461E-AC34-973B906CAE8E/0/ExecutiveSummary33percentRPSImplementationAnalysis.pdf. CSS. (2012). Costs by system size, California solar statistics. Retrieved from April 10, 2012 www.californiasolarstatistics.ca.gov/reports/cost_vs_system_size/. Gentile, T. J., Elizondo, D. C., & Ray, S. (2010). Strategic midwest area renewable transmission (SMARTransmission) study, Phase 1 Report. Retrieved from May 5, 2012 www.aepsustainability.com/ourissues/energy/docs/Phase1SMARTReport_FINAL.pdf. Pletka, R., & Finn, J. (2009). Western renewable energy zones, phase 1: QRA identification technical report. Subcontract Report, NREL/SR-6A2-46877. Golden, CO: National Renewable Energy Laboratory. Retrieved from April 20, 2012, www.nrel.gov/docs/fy10osti/46877.pdf. Pozo, D., Sauma, E., & Contreras, J. (2012). A three-level static MILP model for generation and transmission expansion planning. IEEE Transactions on Power Systems. doi: 10.1109/TPWRS.2012.2204073. RETI. (2010). Renewable energy transmission initiative phase 2B, Final Report. Retrieved from May 1, 2012, www.energy.ca.gov/2010publications/RETI-1000-2010-002/RETI-1000-2010-002-F.PDF. SB2. (2011). California senate bill no. 2, Chapter 1. Retrieved from February 20, 2012, www.leginfo.ca.gov/pub/11-12/bill/sen/sb_0001-0050/sbx1_2_bill_20110412_chaptered.pdf. Wiser, R. & Bolinger, M. (2011). 2010 Wind technologies market report. U.S. Department of Energy, Office of Energy Efficiency and Renewable Energy. Retrieved from March 10, 2012, www1.eere.energy.gov/wind/pdfs/51783.pdf.